No other metal-forming process offers more material choices for structural components than powder metallurgy. Using metal powder and the powder metallurgy process provides quite a few advantages. It is cost-effective; eliminates or minimizes machining by producing parts at, or close to, final dimensions; minimizes scrap losses by typically using more than 97% of the starting raw material in the finished part; permits a wide variety of alloy systems; and many other advantages. From conventional press and sintering to metal injection molding, and from hot or cold isostatic pressing to metal additive manufacturing, powder metallurgy is versatile, sustainable, and can meet many end-user needs. Visit PickPM.com to learn why you should pick powder metallurgy. 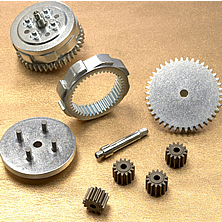 We even provide the Directory of Powder Metallurgy Fabricators and Suppliers. 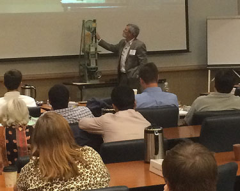 The knowledge and skills needed for engineers and managers to excel, specialized resources and educational programs. Look for your first issue of the Engineering Management newsletter to arrive soon.